The term music therapy is conventionally used to indicate specific surveys and possible actions on human suffering. It is possible to state that the essence of music therapy is the positive influence it can have on psyche through the evocation of pleasant, positive memories. It acts directly on the neuro-vegetative system (hypothalamus, hypophysis, suprarenal glands) to produce those substances (neurotransmitters, well being hormones) that can reactivate those functions which, due to some pathologies, have been altered, giving a balance back to the body and the mind. The therapy is clearly based on sound, rhythm and the language of music; it makes use of a way of communication which is not verbal, the language of music, the system of sounds (frequencies from Hz 16 to 16.000 periods per second – simple vibrations). The sound waves include either the positive and the negative height of the sinusoid-wave. Music therapy as a science was born within the art-therapy in the 1920s, 1930s and it was used as an occupational therapy. From 1950s on, Music therapy spread almost all over Europe and subsequently in Latin America where, thanks to the efforts of Rolando Benenzon, it has found its specific connotation based on scientific results and documented with texts, treatises, reports of clinical cases and various publications. 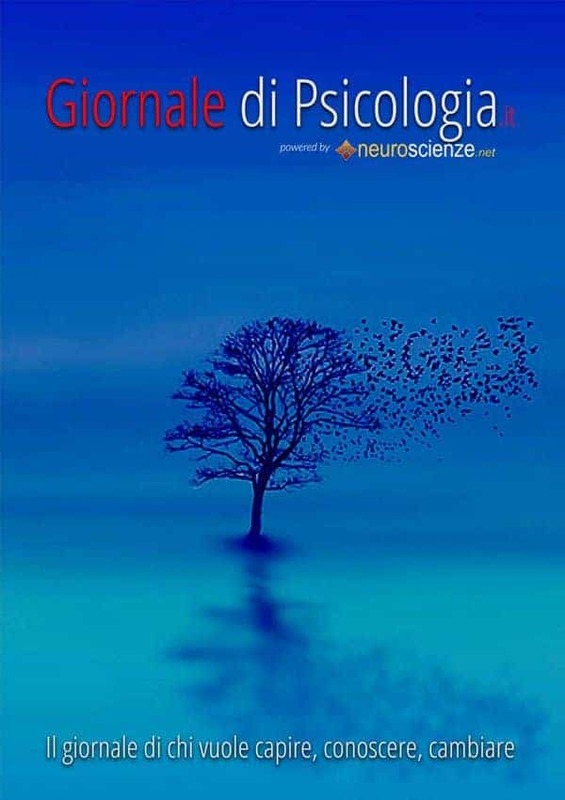 In Italy, from some time, people have started being interested in this type of scientific phenomenon through the efforts of private associations or the organization of national and international conferences, seminars, stages and training courses for music therapists and lately even through postgraduate courses of specialization organized by some faculties of medicine or psychiatry. The aim of music therapy is the study of the relation “human being-sound-human being” in order to prevent, rehabilitate and treat. Some scholars have stated that this kind of relation starts even before our own birth and actually the foetus during the nine months inside the mother’s uterus is sensitive to any sound, rhythm or movement. The cellular anatomic-physiology and the acoustic physics have given us the opportunity to explore and ascertain a world otherwise unknown. The movement, according to the acoustic physics, gives origin to the sound; different objects and different movements give origin to different sounds. In the case of the embryo the cellular physiology needs micro movements in order to develop and those will clearly give origin to micro sound-rhythm events. It is possible, therefore, to state that the human body is a complex sound apparatus and that sound codes of the organs, of the systems of organs and of their functions can exist. It is thought that probably these codes are used to communicate their own physiologic conditions; they can establish a motor-rhythmic communication among the organs. Music therapy, moreover, works together with other disciplines to prevent and therefore to improve life standard. These disciplines are based on communication, on the various types of languages, on psycho-motor activities, on creativity, on art. Music therapy is often used, with preventing purposes, for its attention to prenatal life, to childhood, to teenage, etc. If a sound event (infrasound, sound, ultrasound) can act on a physiologic level, i.e. eliminating those pathologies as renal calculus, dental plaque, etc., why could not the same happen at a psychic level? It has been demonstrated that listening to or producing sound events creates some modifications, or positive alterations, on the neural system in our brain and indirectly on the endocrine and sympathetic systems which can produce some substances (neurotransmitters or well being hormones) that positively stimulate and give balance back to our body. As we know music therapy is just a part of the system of disciplines named as art therapy which has been developing more and more in the last few years thanks to the success some specialists have had in the assistance, rehabilitation and special re-education of patients. In the last twenty years, therefore, art has demonstrated it can contribute to keep us mentally and physically fit. While talking about music therapy we will quite frequently refer to the concept of sound identity (I S O). A deep comprehension of this concept will allow the therapists to act at a higher level to obtain their own purposes (preventing, rehabilitating and treating). The word I S O derives from the Greek and means “same”. The term “isomorphous”, for example, is applied to all those objects with different chemical composition but same crystalline shape. The term “isochronous” (from the Greek chronos = time) refers to the same swings of a pendulum which are different in terms of width and speed but maintain the same regular stressing. In the field of music the term “isorhythmic” refers to an ancient composition technique which consists of present again and again the same rhythmic structures with the same melodic phrases. Much used in music is also the term “isophone” when a sound is the same to another produced by a different instrument. All the non verbal techniques and mainly music therapy are based on the above concept (I S O). Generally, in order to “communicate” with another person each of us tries to find a contact, something similar, the same tastes, the same feelings; therefore, a subject, a sporting, cultural, artistic activity to talk about is chosen if it is shared among the people who “take part” to the conversation. Actually, two or more people must have or develop the same affinities to feel good when together. The concept of I S O, therefore, makes it clear that “to be able to start” a communication with another person it is necessary that both sides but mainly, in this case, the therapist make the effort to “identify”, “to imitate” the patient to deal with. For example, in the case of a communication with a newborn baby the parents and all the other people dealing with him/her tend to a “babbling” language or to imitate the sounds corresponding to specific needs, material, physiological, emotional wishes of the baby and his/her mysterious world. To communicate with an autistic child it is necessary to imitate the particular sounds he/she produces and that, as said above, can correspond to different needs or are just used to communicate. In order to realize a correct communication it is also necessary to take into account the mental time of the person we are going to deal with. In the case of depressed patients the mental time is slowed down and, according to some scholars, they have to be stimulated by listening to or playing some slow music, andante, lento or even with nostalgic, calm melodies that can recall positive experiences. On the contrary, in the case of patients with maniacal symptoms allegro, mosso, vivace music is to be used. Therefore, in order to establish a “way of communication” between the music therapist and his/her patient it is necessary to make the mental times coincide or at least make them similar to each other. At this stage it becomes necessary to say that the concept of I S O has got a specific dynamic feature as the term itself synthesizes the whole system of acoustic phenomena and internal movements which characterize and individualize each human being. Rolando Benenzon in his book “Theory of Music Therapy” distinguishes five dynamic structures of the I S O: gestalt, cultural, universal, complementary, group. The gestalt I S O refers to the concept expressed by Wertheimer in the Gestalt’s psychology (to go back to a perception not polluted by pre-concepts that prevent us from perceiving the phenomenon in its essence, its reality). This psychological theory talks about the immediate experience and states that the individual perceives in a global, unified, total way. The cultural I S O refers to the sound identity of a community or of a certain number of people who share a musical or sound culture. The universal I S O, on the contrary, is a dynamic sound structure common to all the human beings independently from their cultural, social, historical and psycho-physiological contexts. This concept includes the heartbeat, the inspiration and expiration sounds, the mother’s voice, the noises of the uterine walls, the blood flux, the water and many other sounds coming from nature and from the human being in his/her evolution. The universal I S O acts in the unconscious and it is part of the gestalt I S O. It is important to bear in mind that music therapy can be used within a vast range of pathologies belonging to general medicine, physical, psychological and sense-motor handicaps, communication problems, emotional or behavioural troubles, relational problems, conditions of drawback, mental retardation or incapacity and any other common pathology. Another useful application of music therapy is given by the ability of music to develop self-realization, to improve learning and to allow stressed people to use the sounds as a source of psycho-physical well being. Music therapy can effectively be used even in the case of pathologies characterized by pain or in the physical training. In order to get the best from the music therapy it is necessary that the relationship between the patient and the music therapist is based on trust. Any type of musical experience is useful within a music therapy session. It is important to remember that the patient must be put in the condition of accepting, of being interested in the musical activities (improvisation, listening, composition, re-creation) which can contribute to improve his/her health conditions through the recalling of memories, images, sensations having an influence on the emotional sphere so that the organism can release all those biochemical “substances” (hormones-neurotransmitters) that can create well being, giving back to the organism those energies it had lost. It is useful to bear in mind that music therapy involves also other activities, art disciplines like drawing, painting, poetry, dancing, playing, story telling, drama and so on, even if the centre around which the action of the music therapy has to develop is music. Various musical activities, as said above, like improvisation, composition, listening and re-creation can be used according to the different pathologies or illnesses. The aim of improvisation, for example, is that to develop in the patient his/her ability to create and, at the same time, his/her self-esteem, through the improvised reproduction (through the voice or a musical instrument) of a melody which must be the expression of his/her feelings. The activities based on improvisation try to give room to spontaneity, creativity, sense of identity, ability to communicate; improvisation allows, moreover, to express feelings or emotions otherwise difficult to put in words. This therapeutic activity is particularly effective with the following pathologies: obsessive-compulsive neurosis, personality troubles of Borderline or Narcissistic type, with autistic patients, inhibited or depressed adults and with patients with mental retardation or physically disabled. In the re-creative activity, as it is defined by. K.E. Bruscia, the patient is stimulated to reproduce (again through the voice or a musical instrument) sound events, melodies, as a soloist or in a chorus, to improve the ability to socialize, to adapt, to be in contact with the surrounding reality, to better identify with the others’ behaviours and feelings. The re-creative activity is particularly useful with patients who need to develop sense-motor abilities, to learn how to adapt to the others’ behaviours, to identify with others’ feelings, to master a particular role, to collaborate with others to reach common aims. The choral or soloist canto can represent an excellent therapeutic occasion in the case of patients with language or articulation of sounds difficulties; at the same time playing an easy instrument in a group can help the patients to develop a better psycho-motor coordination. It is important to bear in mind that as for children with learning problems or cognitive difficulties reading the musical notes together with the instrumental reproduction of a melody can help them to develop the auditive-motor or visual-motor integration. Finally, the musical activities in groups, the arrangement of a small “orchestra” can help children with behavioural or emotional problems to control impulsivity or shyness. In the sessions based on the composition activity the therapist helps the patient to compose melodies, songs, instrumental pieces with no artistic or technical- esthetical aim. The composition activity is particularly useful in the case of insecure patients with difficulties in decision making or that need to carry out their own initiatives. The composition of a simple melody helps them to develop their self-esteem, their self-confidence in carrying their projects out, to show the inner and the outer thoughts, their own memories, their sensations. If the patients are staying in a hospital writing songs can help them to better understand their own anxiousness, the unconscious fears, the feelings and to leave them there on the paper. In those sessions based on listening the patient is guided to concentrate on the emotional, intellectual, artistic, esthetical or spiritual sensations that the sound event can produce in his/her inner world. Generally, in these cases the therapist helps the patient through relaxing activities, free association, imagination, narration, structured movement, meditation, drawing, perception of their own corporeity. The activity of listening is more useful in the case of people who have to be reassured or physically, emotionally, intellectually or spiritually stimulated. It is known as, in the last few years, pregnant women can take part to some music therapy sessions in order to help them to relax and to live the birth experience in a positive way. Music, therefore, is used as a way to bear the pain and to regulate the cardiac activity and the breath. In the case of patients with learning problems music therapy can be useful to develop perceptive abilities and to improve the auditive capacity. Listening to musical passages can, moreover, be used to memorize colours, behavioural sequences, words, numbers, etc. It is important, therefore, that the therapist has got a clear clinical picture of the patient, the specific pathology on which the therapy will be centred and the aims to be reached and that will have to be monitored. Another important aspect to bear in mind when defining a music therapy session are the patient’s musical abilities. Studies recently carried out by several music therapists have shown that each person, independently from the age or from the musical experience, has got a basic ability to express with and/or recognize the musical language. This fundamental ability does not require a special attitude and/or the specific preparation musicians have but it has its origin in the learning and in the general results we get during the normal human development. Actually, during our own development we all get the opportunity to become potential musicians or music lovers at a basic level. This normal or basic ability includes the abilities to learn singing, to play simple instruments, to move following the music, to react to the musical elements, to perceive the relation among the sounds, to remember the music, to imagine with the help of the music, to give a meaning to the musical experience. Of course, in the clinical situations the music therapists often meet patients with physical, emotional or mental handicaps that can interfere with these musical potentialities. In these cases the therapists’ aim is that of adapting the music therapy to the patient’s abilities and avoid those experiences that can be an obstacle. The music therapists analyse also those patients that can have negative psychological or psycho- physiological reactions to participate to this type of therapy. Music therapy is a source of stimulations for the therapeutic change. To be sure this can happen it is important that the therapist selects and defines the experiences according to the patient’s tastes (I S O), preferences and requires. Important considerations are the patient’s tendencies to: 1. Type of activity (musical or non musical). 2. Type of personal experience ( soloist, duet or group). 3. Type of musical experience (improvisation or listening). 4. Musical means (voice or instrument). 5. Instrument ( drum, marimba, metallophonous, other). 6. Role (leader or companion). 7. Style (pop, rock, classical, etc.). The music therapy process involves three fundamental steps: check, treatment and evaluation. During the check step the therapist uses any of the musical experiences described above to study the patient, his/her condition, his/her therapeutic needs, his/her musical abilities and preferences. During the treatment step the therapist uses the music as a means to specifically treat the patient’s particular condition and state of health. During the evaluation step the therapist determines the patient’s progress as a consequence of the treatment and of the planned aims. Usually the progress is evaluated through the changes a patient has made during the therapy or comparing the initial level or the status of the patient’s functions to the actual ones. The author describes music-therapy in its widest sense, referring to the origin of the term, the centres where this medical practice has been developed and its medical and scientific fields of application. The second part deals with the technical aspects of music-therapy (improvisation, recreation, composition, listening) that are used by the therapists, according to the pathology of the client and the clinical process on which a correct music therapy practice has to be based. Benenzon R., 1994, Theory of Music therapy, Novastampa Editions, Verona. Bruscia K., 1991, Clinical cases of music therapy (adults). Barcelona Publishers, USA. Lorenzetti L.M., 1989, From musical education to music therapy, Ed. Zanibon, Padova. Rossi Pritoni L., 1994, Applied music therapy, Del Cerro Editions, Tirrenia. Warren B.: Art therapy in education and rehabilitation. Erickson Editions, Trento,1996. Various Authors, 1997, Music and Therapy: Italian notes on music therapy, Vol. 5, Boccassi Editions, Alessandria.